Ever wondered where the illegitimate son of Benjamin Franklin is buried? No? Me neither. But you can find his remains at Old St. Pancras Church, 314 A.D.. The church is tucked away behind St. Pancras Station. After going to see the Lego Christmas Tree, we headed to check out this very pretty church. Unfortunately there was a service going on and we didn’t dare sneak a peek inside. Instead we walked around the grounds. 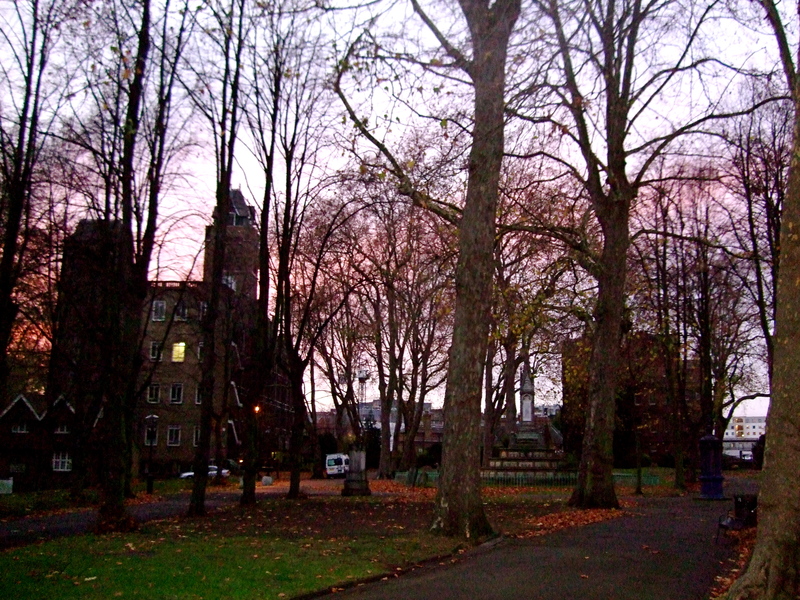 The churchyard is quite romantic, although a bit spooky. In it you can find the remains of Sir John Sloane. His self-designed tomb inspired the design for the red telephone boxes. Interesting. Such a small pretty church with a rich history in literature. Quite a few writers have a presence at Old. St. San Pancras: Mary Wollstonecraft, Mary Shelly, Thomas Hardy…The Thomas Hardy Tree is named after the writer who once worked at the church. So yeah. This church was definitely worth a visit. Tucked away it feels like you’ve stepped back in time. 09 Dec	This entry was published on 09/12/2011 at 8:54 PM. It’s filed under London and tagged church, history. Bookmark the permalink. Follow any comments here with the RSS feed for this post. 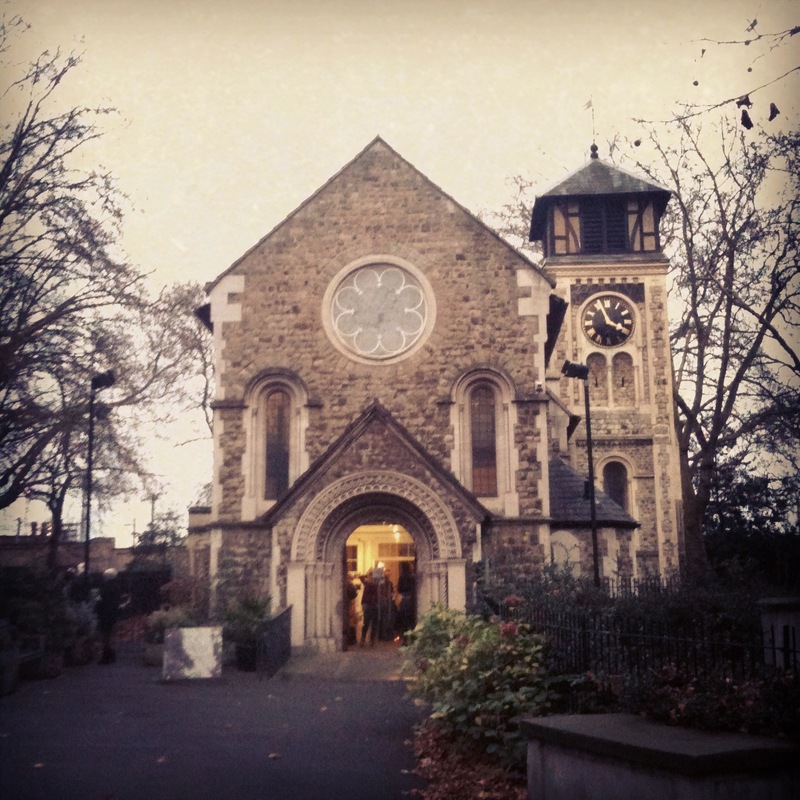 What a pretty church! I love places like this that have been around, in some form, for over 1500 years!!!!! It looks lovely! 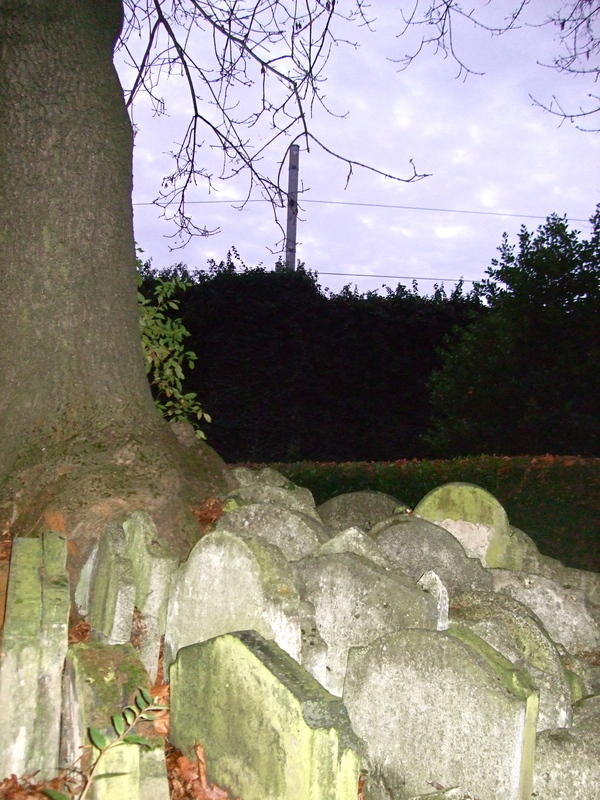 has the tree grown into the tombstones? Yes! The tombs are popping up and it looks quite creepy and pretty at the same time. Worth visiting if you’re in the neighborhood.